With the look of weathered wood. 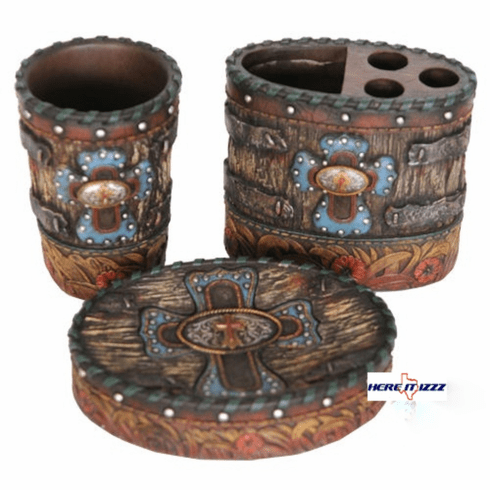 Stunning looking cross conchos Adorn the studded turquoise crosses. Perfect Western bath sets for the ranch or country house. Each piece is trimmed in a tooled flower pattern.